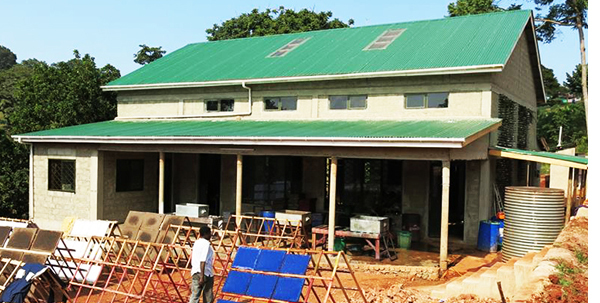 Paper Craft was set up in 2006 to provide a sustainable income for a group of socially disadvantaged Ugandans, (mainly women) through the production and sale of hand made paper and paper products. The majority of Paper Craft employees would otherwise find it almost impossible to find a job or to support their families. 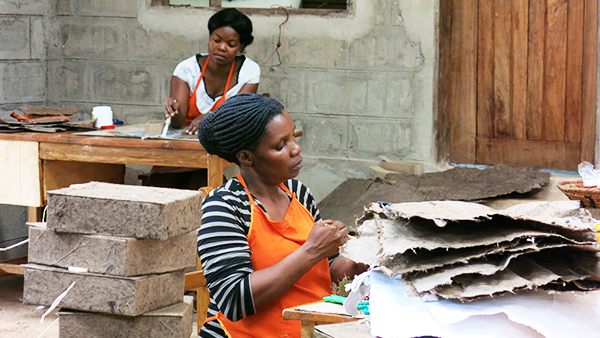 Paper Craft provides additional income to local farmers by purchasing elephant grass and banana fiber. We also buy pineapple tops which are considered to be waste and would otherwise be burnt, as well as collecting scrap paper from offices in Kampala. By choosing Paper Craft you are supporting a sustainable business, promoting environmental awareness and encouraging recycling. 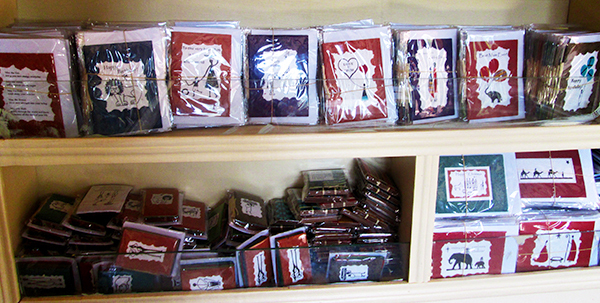 Paper Craft is a self sufficient business that does not rely on donations. But of course any donations are very welcome! . We found a little house on the side of a hill. A garden with mango trees, avocado and jack fruit. The floors were made of earth and there was no electricity. The walls were un-plastered and the doors not there. So we set to work transforming this house; we cemented the floors and plastered the walls, added a verandah and brought in the electricity. We started from scratch buying everything we would need; a blender, a press, scissors, paper and glue, tables and chairs, a computer, a printer and a paper cutter or two; drying screens, a generator; drums for water and of course new designs from geckos to warthogs. Now we have built a very beautiful, spacious, and artistic new workshop! If you would like to sell Paper Craft products where ever you may be in the world we can ship them to you. Please email Harriet with details of your company and she will send you our wholesale price list.